It all began with bar room conversations between Troy and David about the raw roots alt-country music scene they had been introduced to, which included such bands as Uncle Tupelo, Son Volt, Gram Parsons and Steve Earle. Throw in a love for jam bands like Widespread Panic and The Grateful Dead, and you have The Bar Tab Band. A blue collar rock and roll band which speaks the language of life in the Midwest with telecaster twang and hillbilly stomp. 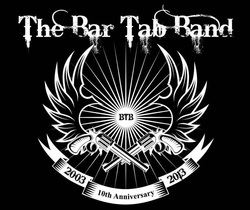 Bar Tab formed in 2003 and were soon playing at a host of great Wisconsin bars and clubs.